Here is the photo frame Plaisir 9/13, a beautiful frame to protect and expose your most beautiful photos while bringing elegance to your interior decoration. 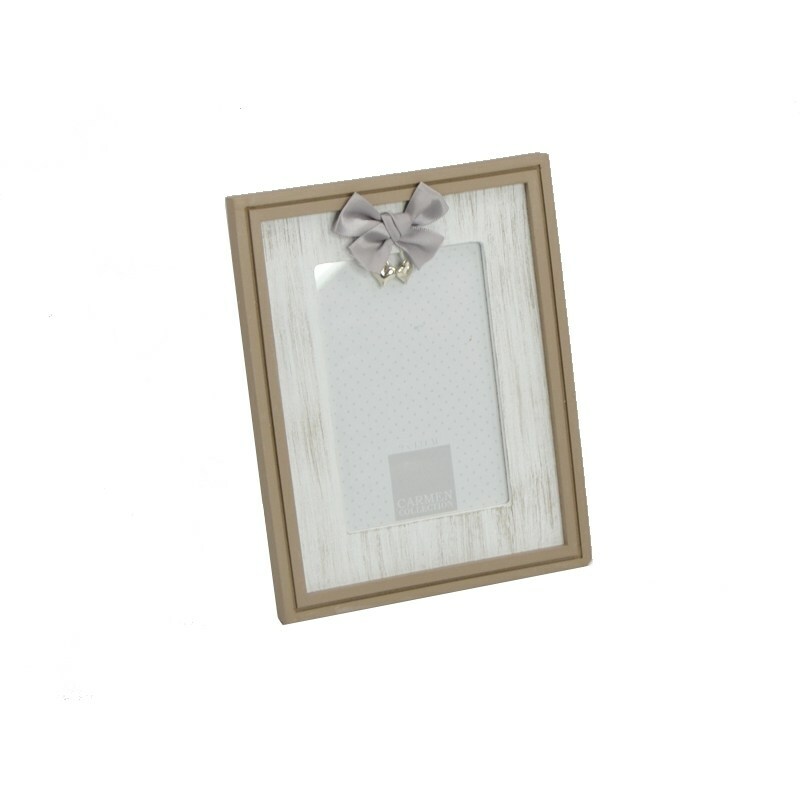 We present you the photo frame Plaisir 9/13, a beautiful decorative accessory that will allow you to protect your best photos and store them carefully on your walls or your furniture. The trendy setting will add a touch of elegance to your home and can blend easily into your home. The photo frame Pleasure can accommodate photos up to 9x13 cm dimension, it is very compact. 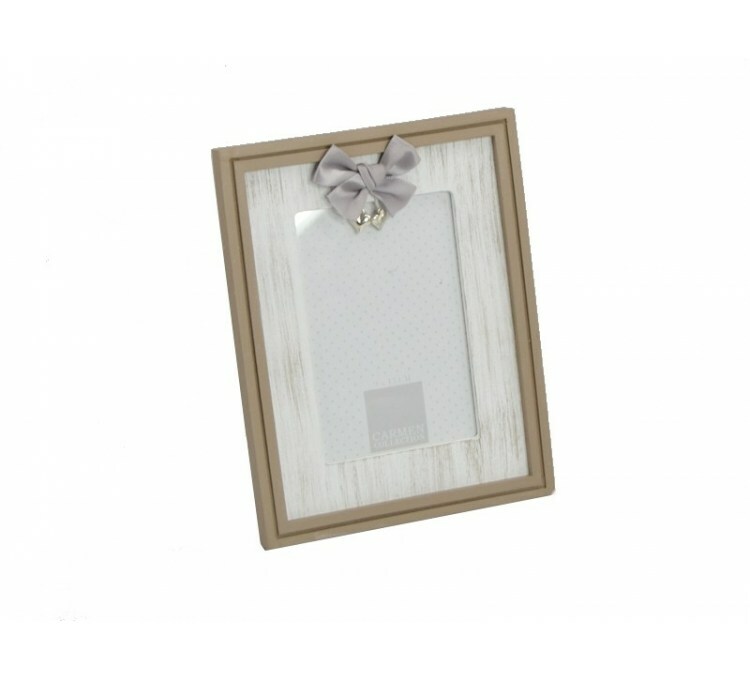 Its wood design combining white and light colors with a pretty bow will bring elegance and freshness to your home, this frame fits seamlessly into any interior design. The Pleasure frame has a stable support that allows it to hold on your furniture and can hang on all your walls. We recommend using a dry cloth to clean this product.